Arkonic subscribes to a “Greener World and Better Life” and is doing its part to contribute to a better future for mankind. 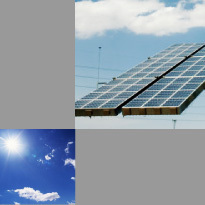 One of our focuses is on Solar Energy. In creating Solar Cells, Arkonic’s materials supply chain plays a key role providing everything from Ultra-clean Silicon materials used for making ultra-high purity Polysilcon, to all kinds of vital gases instrumental to the development of thin-film solar cells. For the next generation of solar cells, Arkonic will maintain its role as a market leader in developing new materials/ compounds for scientists' future inventions.